David Coates is a retired managing partner for KPMG and current member of the Vermont Business Roundtable. Among other business and state ventures, he has served as interim head for the Bank of Vermont, Burlington Savings Bank and Key Bank. Over the years Coates has warned of a looming financial crisis related to Vermont’s pension fund. As of June of 2017, the Green Mountain State has $4.5 billion in unfunded liabilities for state employees’ and teachers’ pensions. The unfunded liability is the gap between what the state owes plan participants versus how much the state has in the bank to pay those obligations. In this episode of Vote for Vermont, co-hosts Pat McDonald and Ben Kinsley interview Coates about the state pension crisis and how it may affect Vermonters and state budgets. “This is the kind of thing that I see really being a problem for our children and our grandchildren — you are going to have to face it,” Coates says. Each year, the state must pay the Annual Required Contribution, or ARC, toward the pension fund. In 2017, Vermont fell short on these payments for post-employment benefits by $85 million, which is over a 50 percent increase on the gap from 2016. Failing to meet annual contributions could potentially lead to a downgrade in Vermont’s bond rating, among other problems. Coates says some positive changes have been made, however. The amount that new employees have to pay into the system has increased, and the time retirees have to wait until they get their full benefits is longer. Even so, he says the state is not on a sustainable path and that major policy shifts must be made to avoid an economic crisis. ← What did NY Gov. Cuomo know about Attorney General Schneiderman? The State pension systems are funded in different ways. They have one thing in common: the employees ALWAYS pay their mandated shares into the system. In the Municipal employees retirement plan our towns and cities also ALWAYS pay their share, which is why the municipal system is in pretty good shape. The biggest problem is with the State teachers system, where the State has neglected to make its appropriate contributions (as determined by actuaries) for many years. Until a few years ago school districts were not required to contribute to this system: teachers contributed 6% or so of their income. The State was responsible for the rest, but it did not meet its responsibility over many years. Several years ago the legislature began requiring school districts to pay $1,000 (its more than that now, probably over $1,300) annually for each new teacher hired from that point on, which is starting to have a significant impact on local school budgets and taxes. For many years the Vermont Legislature and some of its recent governors (Shumlin sticks out in my mind) have been spending money far in excess of the revenue growth of its citizens. It is now in a new phase, where it claims not to be passing new taxes when it is really just shifting state costs and responsibilities to others, mostly businesses. For example, the new proposed $15 an hour minimum wage law is an attempt to shift costs from social welfare programs to small businesses; the paid family leave proposal would assess costs against employees through a payroll deduction similar to FICA, while legislators lean back and say “look what we gave you.” Savings realized by school districts through difficult negotiations with its teacher unions were “clawed back” by the state and therefore unavailable to support school programs or property tax reductions. Don’t expect this to stop. Almost all private companies pay nothing towards the retirement pensions of their employees. Employees have to pay into Social Security. Employés also can set up IRAs and contribute to them. Almost all companies make no contribution to IRAs. If the state and local government would stop making their payments to pension plans, then government employees likely would pay more into their retirement plans. The set-up of the state pension plans dates from the 50s and 60s. The company I work for has around 100,000 employees worldwide. Out here in the real world we contribute to a 401k with a negotiated company contribution. No pension. No unfunded mandate at my company. If something is unfunded we go out of business. That’s the real world. Politicians and unions don’t live in the real world. Great conversation and eye opener. If VT keeps going down this path we will have the same bond rating as Puerto Rico. When are the unions and those they negotiate with going to recognize that they together are bankrupting our state?? State retirement benefits are not negotiated. The 3 State retirement systems (State employees, municipal employees and state teachers systems) are created by statute and the benefits and conditions are established by the legislature. Only the legislature can address this issue going forward. It does not have the will to do so, at least not yet. 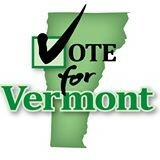 Perhaps part of the problem stems from the fact that the Vermont Government employee count is far higher than need. One should look at the size of New Hampshire population ratio to the number of state employees and see how the state gets along with a lower ratio. Th fewer employees the lower the pention needs. You cannot draw a straight line comparison between population and the number of public employees needed to fulfill all legislatively mandated functions. In fact, the higher your population the lower the ratio should be. A small state like Vermont still needs to do everything that a larger state does vis a vis government (education, environment, transportation, administration, health, human services, etc). Which is not to say that Vermont is either overstaffed or understaffed in certain areas, or that all legislatively mandated programs are really necessary. Unfortunately, these issues are rarely, if ever, reviewed by detached, professional experts. Legislators are not good at cutting programs. The pension crisis would be much less if the retirement age of all government employees were increased to 67, or the same as Social Security, whichever is higher. No more serving for 20 or 25 years in a government job and then retire at full pension and full healthcare benefits. William then you get the ones that double dip. Work 20 years from say 21-41 then from 41-61. Two pensions . Only way to survive going forward is to move to a non public union state. Wow, and guess what. They’re all VERY affordable to live in right now! The minimum retirement age right now for State employees is 62, or any age with 30 years of service (it can be a little more complicated than that if you get into the weeds re: police retirement, etc, but let’s stick to the main theme/general rule). There is no mandatory retirement age. Retiring at age 62 only means that your retirement benefit is not penalized (you take a 6% reduction for each year you retire early). A majority of state employees have not reached their maximum retirement benefit % by age 62, and many do work until 67. As with Social Security, their benefit is higher as they get service credits (additional % points for each year) and their pay raises increase the ultimate retirement benefit. If state employees had to work until age 67 to avoid the penalties it would dissuade a lot of people from going into state service. It would also mean people working longer, higher health insurance bills due to the aging state workforce, more absences due to illness and injury, a higher workers compensation injury rates, etc. Also, there would be less state job openings for younger workers, who are paid a lot less (the State uses a Step wage system that increases pay over time) and who might have even greater incentives to leave Vermont for greener pastures. There are no simple solutions for these issues.